I am deeply happy about the election of the new Pope, Francis I. A man of humility, he was not even mentioned among the 10 “papabili”. Truly God’s ways are different from man’s. Much as I wanted to be in front of the TV during the whole time of waiting, I could not. But I had a strong feeling that because of the guidance and inspiration of the Holy Spirit, God will give us a new spiritual and ecclesial leader in no time. 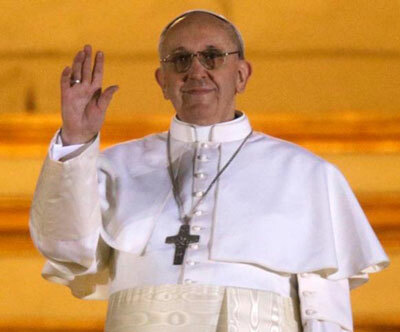 Indeed, God has surprised us and in a very short time, He has given us the leader in Pope Francis. I am filled with hope because the Lord really loves his Catholic Church. The Lord has given the Church a new leader who has loves and works very hard for and with the poor in Argentina. And this time, he will make us love the poor even more. Also, he will continue the legacy of Benedict XVI in taking care of the faith of the flock. And I believe he will strengthen the efforts of the Catholic Church in her ecumenical dialogue with the people of other religions so that the vision of God’s unity (“that they may be one”) will be achieved. Well said, Father Joebeth. Thanks for the great insight. My brother (inset) stayed for a while in Rome, Italy. He is with Don Bosco. 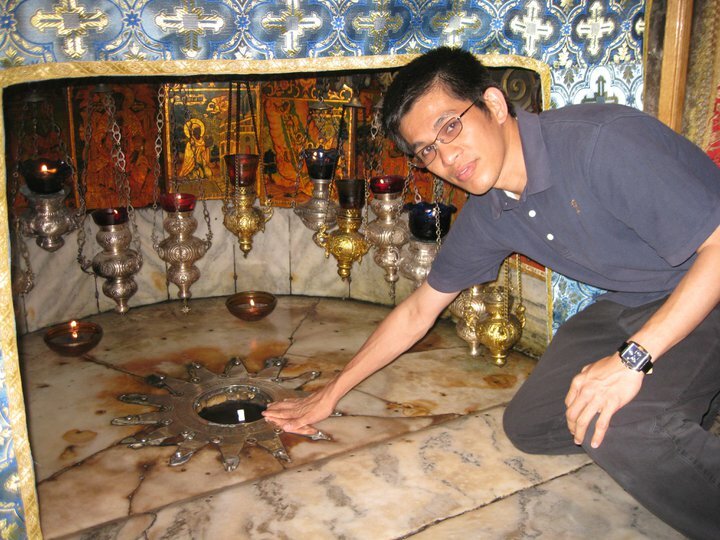 He was ordained as priest in December 8, 2000. 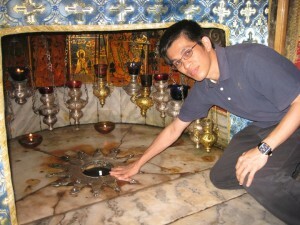 Father Joebeth at the site of the birth of Jesus in Bethlehem. This entry was posted in Inspirational and tagged election of the new Pope, pontiff, Pope Francis, priest, priest reaction, Rome, Rome Italy on March 14, 2013 by Yami.